I came across this recipe for no-bake (yippee!!) 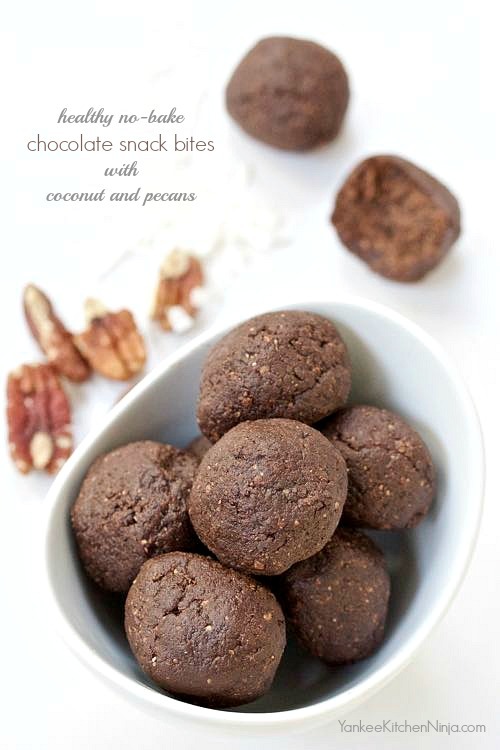 snack bites in an article featuring seasonal pecan recipes. If you prefer walnuts or some other type of nut, I'm sure they'd be just as good in this chocolatey treat. There are only four ingredients in these no-bake snack bites: pecans, unsweetened chocolate, unsweetened coconut and dates. That's it! All good-for-you stuff, whirled around for a few minutes in a food processor, shaped into bite-sized balls and chilled. What kind of sweet treat could be easier than that? What's your favorite way to keep the Halloween candy in the bag, where it belongs, and out of your mouth during October? Leave a comment: The Ninj wants to know. Place all four ingredients in a food processor and process until well combined and slightly sticky (this takes a few minutes). 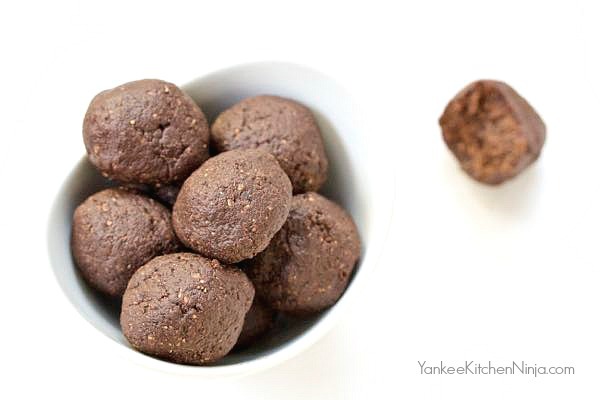 Roll the dough into 12 balls and place into an airtight container. Chill and store in the refrigerator.